Renda Writer is an international mural artist based in Miami, Fla. who is traveling the world, creating murals for World Peace. He has created 26 murals so far, and he invites everyone to come watch as he creates the 27th mural on the tour in Atlanta at the popular cafe and performance venue, Apache Cafe. 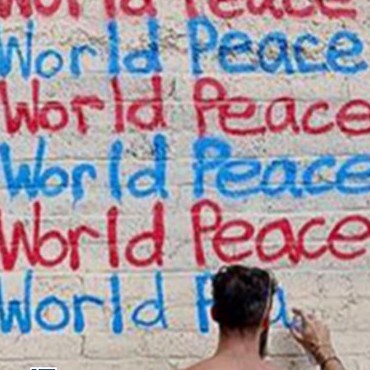 Writer will spray paint the phrase "World Peace" on one of the cafe's exterior walls over and over and over until the whole wall is filled up, creating a unique "Handwritten Mural."